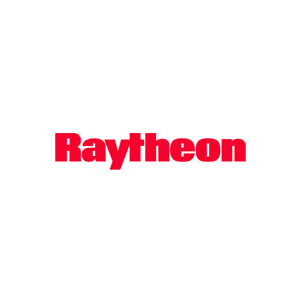 Raytheon awarded contract to produce Romania's new Patriot system Raytheon "Will meet Romania's Fielding Schedule"
The U.S. Army has awarded Raytheon Company a $395.8 million contract for production of Romania'sPatriot™ Air and Missile Defense System. Announced by the Department of Defense on May 24, the contract calls for Raytheon to build Romania's first brand-new Patriot fire unit. "We are using what we have learned in building 220 fire units and to meet Romania's Patriot fielding schedule," said Tom Laliberty, vice president of Integrated Air and Missile Defense at Raytheon's Integrated Defense Systems business. NATO Nations with Patriot: The US, Germany, Greece, the Netherlands, and Spain currently have Patriot. On Nov. 29th, 2017, Romania signed a Letter of Offer and Acceptance for Patriot, making it the 6th NATO member state to procure Patriot. On March 28, Poland signed a Letter of Offer and Acceptance for Patriot, making it the 7th NATO state to procure Patriot. European Interest in Patriot: A congressional notification regarding a potential Patriot sale to Sweden has been completed. Raytheon's Patriot is a missile defense system consisting of radars, command-and-control technology and multiple types of interceptors, all working together to detect, identify and defeat tactical ballistic missiles, cruise missiles, drones, advanced aircraft and other threats. Patriot is the foundation of integrated air and missile defense for 15 nations.